Wonder Woman: Now the Best DC Movie to Date! In case my blog name doesn't make it obvious: I am a HUGE Wonder Woman fan. Growing up, there weren't a lot of women who really made an impact in my life. 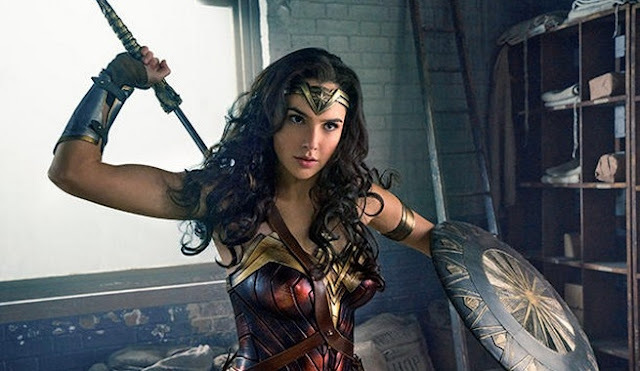 Wonder Woman did - so much so that I used her name as my alias for newspaper gigs and eventually, this blog and on social media. 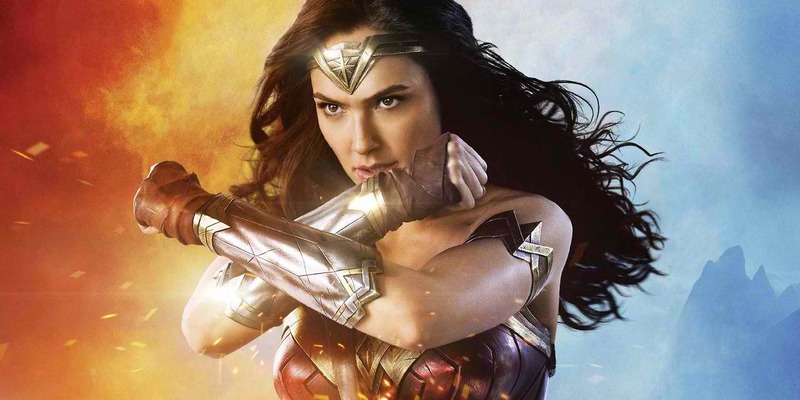 Why has Wonder Woman been my biggest fictional idol? Well, for starters, Wonder Woman is strong. And she is independent. And she rocks her curls and her curves and her strength with an IDGAF attitude. Let's not forget that she didn't need her family or a man to help her in most of the things that she did. (The New 52 Superman and Wonder Woman comics bother me the most because that's when I've seen Wonder Woman at her weakest, I think - she's in a relationship with Superman in it - and I am still unsure how to feel about it). Anyway, for years, I had waited for a movie to be made, in which she would be able to influence and inspire little girls of newer generations the way that she influenced and inspired me in comic books in the past. That time has finally come - and DC does not disappoint. 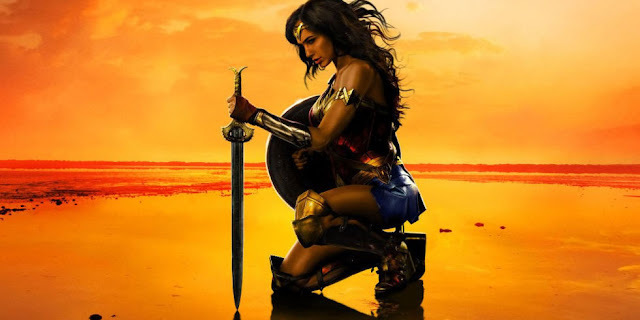 Wonder Woman easily trumps my favorite DC movie of all time ("Superman" - the very first one with Christopher Reeve) as she shines bright as a beacon of female empowerment in every scene of the movie. Gal Gadot is absolutely perfect for the role of the Amazonian princess. Even though I had to wait more than two decades for this movie, she made it worth the wait. It is amazing how her beauty and her strength shine in every frame and how her face can go from that young Amazonian, I-want-to-make-my-mother-proud look in the earlier scenes to that naive and innocent look in the London scenes to that fierce and determined-to-help-people look in the pre-battle scenes to that violent, I'm-gonna-kill-anyone-who-gets-in-my-way look in the actual battle scenes to that humble, I-was-just-doing-what-I-need-to-do look in the post-battle scenes to that "but surprise, I can give you a pornstar face, too" look. And yet she effortlessly made all of those looks believable in the movie. There seriously is no better choice for this role at this point in time. As for the movie itself, it packages all of the elements and values of life perfectly into 2.5 hours. The character development is very well done. You feel things when you need to feel them and you get affected when you need to get affected. Never did I think that someone was miscast in their role nor did I roll my eyes at any of the jokes or romantic scenes. The twist was a bit predictable for me, but that's just because I know my actors well. Being as big of a fan as I am, though, I ended up crying a lot - and not just when things got sad in the movie, either. I found myself crying in one of the battle scenes because I was containing my desire to scream and cheer her on. (My heart and lungs yelled "YEAH!!!" so hard, though.) And when she brought out the Lasso of Truth in battle for the first time? I cried then, too. Of course, I cried during the sad parts, as well; but for the rest of it, I found myself crying because of the sheer beauty of it all. 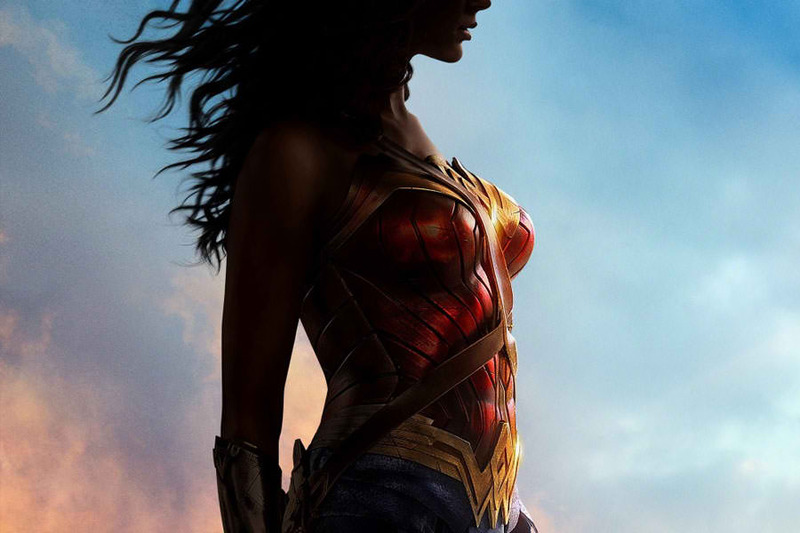 It was everything I imagined the Wonder Woman universe to be like on the big screen and my emotions simply couldn't hold it in. It was absolutely wonderful. The most beautiful thing about this movie, though, is that so many of my friends have messaged me throughout the week after watching it, telling me that they finally understand me and that they finally appreciate my love for the character. One of them even asked me to sit down with her and tell her the story in the comic books. I am also a big fan of worder woman. I like very much super natural movie and story. My passion was in acting but now i am working in an Interior Decoration field. It's also good job. We convert the imagination images in reality by our Curtain Window Treatment Ideas, shutter window treatments. I am also a big fan of worder woman. I like a lot of Wonder Woman.